It’s not very often when news media inserts itself in a contentious local issue, but the Cleveland Plain Dealer decided that the separation of church and state was a bridge too far. It took a side in a resolved issue over a public school musical performance of an opera with religious concepts. 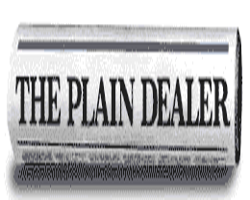 This entry was posted in Entanglement, Groups, Media, Politics, Religious Intolerance and tagged 1st amendment, Americans United for Separation of Church and State, church and state, Cleveland Plain Dealer, journalism, news bias, public schools on May 18, 2015 by Doug. 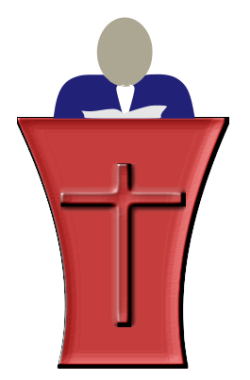 Last month I posted about a settlement between the Freedom from Religion Foundation (FFRF) and the Internal Revenue Service (IRS) over policing electioneering by churches. The IRS had for years dragged its feet in investigating complaints about churches violating the terms of the tax exemption rules by getting too political. Of course conservatives now claim, with the settlement, that a church’s first amendment rights will be violated. Such a claim is utter hogwash. This entry was posted in Courts, Entanglement, Media, Politics and tagged 1st amendment, 501(c)(3), church and state, electioneering, FFRF, IRS, Johnson Amendment, Pulpit Freedom Sunday, tax exemption on August 7, 2014 by Doug. 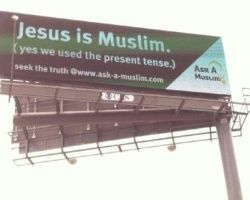 This week a group called ‘Ask a Muslim’ put up a billboard on the North side of Columbus that stated ‘Jesus is Muslim’. Of course some evangelical Christians got the vapors. They plan on holding a rally and prayer vigil against the billboard this Saturday. Really. The Christians plan on protesting a billboard. And ‘Coach’ Dave Daubenmire is involved. This entry was posted in Groups, Media, Religious Intolerance and tagged 1st amendment, Ask a Muslim, Christian persecution, Coach Dave Daubenmire, Islam, Jesus is Muslim on March 28, 2014 by Doug. 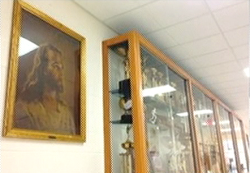 The other day I posted an update to the Jackson, Ohio school district Jesus painting court case. Someone on twitter sent me a strong reaction tweet about it and the ensuing conversation shows that some theists don’t want religious freedom for others – just themselves. This entry was posted in Media, Religious Intolerance and tagged 1st amendment, ACLU, appeal to tradition, Christian privilege, church and state, civil rights, Freedom from Religion Foundation, Jackson Ohio, Jesus, Jesus portrait, public schools, religious symbols, twitter on October 10, 2013 by Doug. The recent media dust up about the Internal Revenue Service doing their job when considering group tax exemptions under the 501(c)4 rules focused on conservative groups being ‘targeted’ for political reasons. What hasn’t been reported as much is that non-conservative groups, including Camp Quest, were also targeted for extra scrutiny. This just shows that the conservative group’s claim of victimhood is more hysterical than the facts support. This entry was posted in Courts, Groups, History, Media, Politics and tagged 501(c)4, Camp Quest, conservative, Internal Revenue Service, IRS, social welfare groups, tax exemption on June 7, 2013 by Doug. The first Thursday in May is the National Day of Reason. It was created as a response to the National Day of Prayer held on the same day. the National Day of Reason is to celebrate reason – a concept all Americans can support – and to raise public awareness about the persistent threat to religious liberty posed by government when it takes sides. This entry was posted in Entanglement, Groups, Media, Politics, Positive, Religious Intolerance and tagged 1st amendment, church and state, Congress, freedom of religion, holidays, inclusiveness, National Day of Prayer, National Day of Reason, religious bigotry on May 2, 2013 by Doug.